Can you guy’s believe it’s almost the Super Bowl? I’m a Minnesota girl so I’ve got my heart set on the Vikings moving on, hopefully we will be able to take down the Seahawks this weekend! Got my fingers crossed on this one. But the best part about this time of year is all the delicious game day foods. Nothing beats appetizers and football food in my book…well maybe sweets. I have a sweet spot you know. Haha I made a funny. 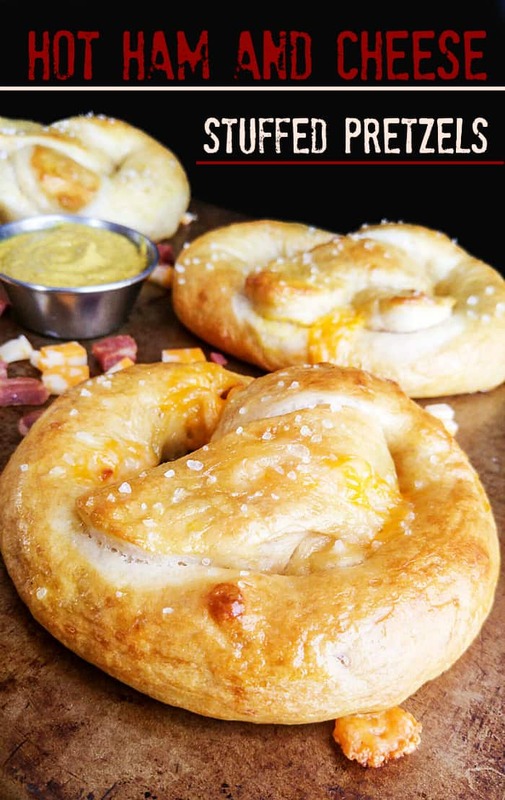 Anyways, what better for game day than these Hot Ham and Cheese Stuffed Pretzels….